Care should be taken with diet: a high intake of acid-containing food and drink such as citrus fruits and fizzy drinks will make teeth more sensitive and can lead to destruction of the tooth enamel. Applying fluoride varnish to exposed sensitive dentine or cementum. Applying a sealer to exposed root surfaces to block the tiny tubes which are exposed or offer treatment that will desensitise the dental nerves (no drilling is required). 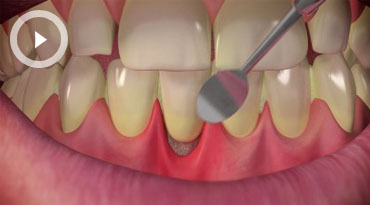 Correcting any bite abnormalities to help reduce the wearing of enamel.